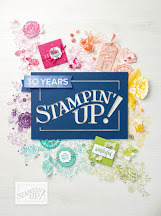 Stamping with Crafty Scentiments: 10 Free ink Pads!!! There's always time to craft!!! If you were a demonstrator before and want to join again, or if you're brand new, go ahead and click the link below to join my team, you won't be sorry! It only costs $99.00 and you pick out $125.00 in merchandise that you would like, plus 10 free ink pads that are separate from your starter kit. There are five bundles to choose from. Plus there is no shipping on your starter kit, so that saves you even more! This is not a gimmick, anyone can buy it! My team is made up of hobbyists and business minded individuals, and I welcome everyone! Another cool perk is that when you join my team now, you will not have to reach your first quarterly minimum until December 31, 2018. That's six whole months to enjoy all the perks of being a demonstrator. Hi, my name is Yolonda. I love crafting. Especially the feeling you get when you complete a project.